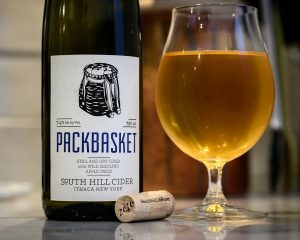 Orchard-based cider, both still and sparkling, can be stunningly complex, can age and develop, and can be an excellent pairing for a variety of foods. While it really is great on a warm summer day, it can also be deeply satisfying on a cold, dreary evening, paired with a rich stew. I have also enjoyed cider with a tasting menu at one of the top NYC restaurants, Agern, where they have Eve’s Cidery “Albee Hill” (a still, dry cider) on the menu; and it stood up to every course we enjoyed. In fact, that was the moment I realized that it was time to learn more about this beverage. Why was this cider so good? Now, we can talk about the apples, as well as tradition – using apples grown specifically for cider rather than for eating out of hand as they have done in England and France for centuries. These sharp, tannic apples are not really “tasty” in the traditional sense of the word, biting into them is likely to leave your mouth in a pucker. Many of these are smaller than the apples we are used to consuming, but with a more concentrated flavor, akin to grapes grown for wine versus table grapes. 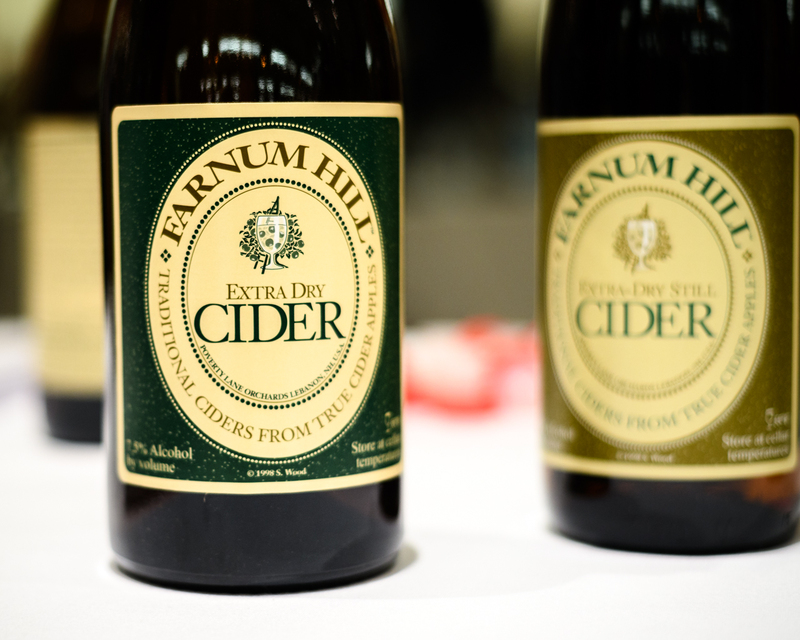 Not surprisingly, traditional cider in the northeast looks back to English cider, not only for the apples, but stylistically as well. 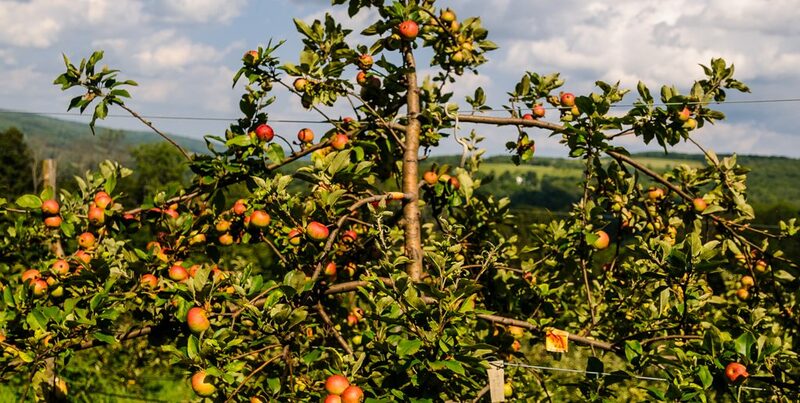 On the one hand, there are the bright, crisp still ciders, austere and complex, recalling a traditional English cider and likely similar to the ones made in the colonies, as well as the use of honey to sweeten the cider, which harkens back to the Anglo-Saxon period. However, northeast cider is not all about reviving traditions, there is innovation afoot too. Modern winemaking has made strides in the cellar, and the cider makers are following suit. Making “Champagne Method” cider is not only expensive and time-consuming, it is also difficult. It requires a strictly hygienic environment and a lot of manual labor during disgorgement and dosage process. But the result is a beautiful, “wine-like” cider, with layers of yeasty notes mixing with the tropical and citrus fruit. The carbonation does not remind one of soda or beer; rather the bubbles are softer, adding a creamy texture to every sip. 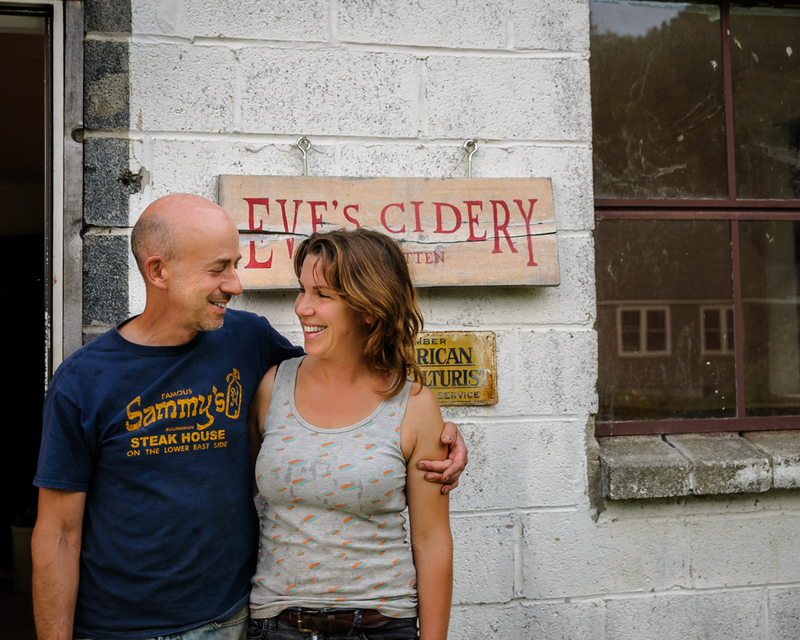 Autumn Stoscheck and Ezra Sherman’s cidery in Van Etten was the first one I visited. 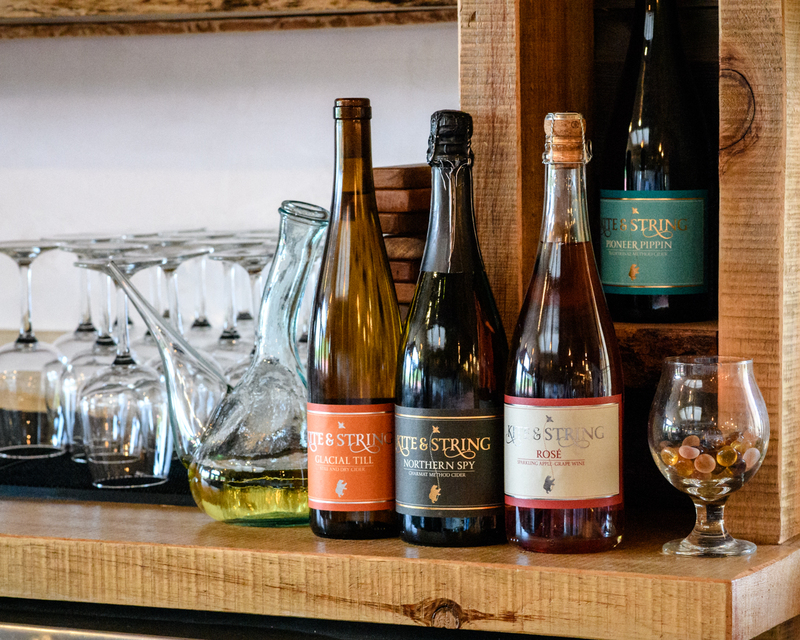 I tried their cider in New York City and was in love immediately – complex, lithe, bright… I went on their website and ordered a mixed case of the different ciders they make, from still and dry to sparkling and even to the sweet (ice cider). When the opportunity came to visit the Finger Lakes region, I emailed Autumn to set up an appointment. Instead, I was invited to join a family lunch. I met the warmest, most humble and genuine people, both Autumn and Ezra (and, of course, their kids) were open, hospitable and in love not only with what they do but with the land itself. Autumn’s working on making their own orchards fully organic and promoting bio-intensive agriculture in the region (check out her work with Forge Cellars on Instagram). Ezra is the man with the golden hands; his work on, and in, “the Barn” is honestly astonishing. That is what I taste in their cider – true appreciation for nature. 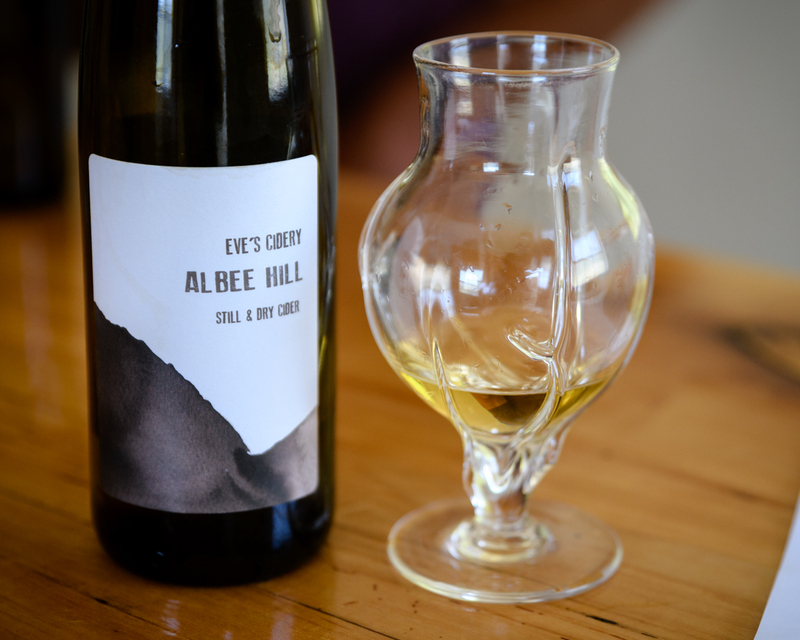 2017 Albee Hill (still & dry) – I found this year’s version to be lightly floral, with tea and peach notes; the mid-palate more ripe with a core of white and yellow apple flesh, hints of sweet citrus and a firm, tannic finish with mineral and stone. 2017 Perry Pear (pear cider) – floral with white and yellow flowers, and sweet stone fruit on the nose, light and bright mid-palate, crisp – with mineral and acid – and finishing with a ripe pear and creamy touch. 2017 Autumn’s Gold (dry and sparkling) – broad, rich cider, with funky and yeasty notes – leaning toward brioche; tropical on the palate, with pineapple and dry mango; serious grip on the long, dry finish. 2017 Kingston Black (sparkling and dry) – this year’s version is sparkling and not still. I have a bottle of the ‘16 in my cellar and cannot wait to taste them side by side. 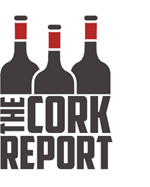 The ‘17 showed a powerful, broad character, leaning toward dry fruits and savory, tart herbs. The palate was rich but with hints of tart melon rind and nutty, sour apples. 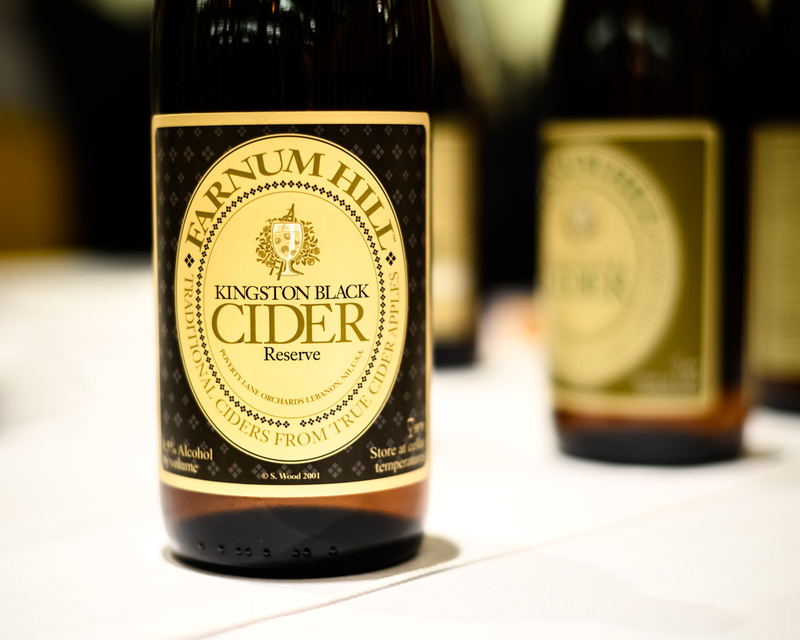 Kingston Black produces some of the most complex ciders and this is a great example. Essence (Ice Cider) – just a quick note, get it. It is not overly sweet, but rather rich, creamy and truly the essence of the apple. If you love sweet wines with a bite, this is a must try. 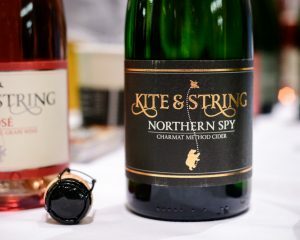 I met Melissa Madden at this spring’s Skurnik Portfolio tasting and, after trying their Northern Spy (one of my favorite American cider apples) and their Ice Cider – I knew I had to visit them. Melissa is surely one of the hardest working people I have ever met (just take a look at her Instagram), and the team at Good Life Farm shows the same care and love for the land that I have come to admire. The Finger Lakes Cider House itself is a beautiful space, not only for cider, but for an amazing, fresh and vibrant lunch as well. The tasting room, airy, with bright windows, has a cozy, family feel and an amazing view of the farm and the lake. Bring the family – there are plenty of options for all ages. 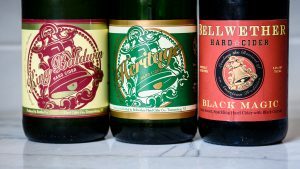 I would also suggest taking a look at their cider club, which is not only generous but also allows access to some unique limited release bottlings. Melissa gifted me a bottle of one such cider, King of Hector (dry and sparkling), made from foraged apples… and it was stunning. Rich, deep and complex with haunting cider and tropical fruit notes and hints of ginger and clove. I have to start with the absolute, incredible, guilty pleasure. I usually don’t even like Rosé wines, and this… 2017 Rosé (semi-sweet & sparkling), a cider spiked with Riesling juice and Marechal Foch red wine… but it is so good… sweet with peach and strawberry, ripe, light but persistent… truly a moment of don’t judge, drink! The other unique cider was the 2017 Cyser (semi-dry and sparkling): a champagne method cider with local honey – a hint of the Anglo-Saxon and Norman coming together! It showed aromas of peaches and honey, with a ripe, rounded palate and a pleasing, orchard fruit core. The 2016 Cazenovia (dry and sparking) was a very different animal – bone dry, elegant, bright with ripe citrus and flowers. Long tannic and herbal finish – a beauty. The 2017 Baldwin (dry and sparking) played in the same sphere, but rounder, with tropical touches and white peach. The palate had a persistent note of lime and ginger leading to a complex finish. Finally, the 2017 Northern Spy (semi-dry and sparking) bright but on the fully tropical gamut of flavors, with mango and melon, richer and rounder yet still keeping a core of ripe acidity to keep the fruit at bay. Our “home away from home” in the Finger Lakes region is Trumansburg. I ended up here rather randomly the first time: it seemed to be convenient to the places I wanted to visit, but I fell in love with the little cozy town. The food, the people and the fact I could walk out in the morning and get some excellent coffee – what else can one ask for? Bellwether Cidery is five minutes out of town and I couldn’t pass up a chance to stop by. What I found was a quite serious lineup of ciders, including some more of my favorite Northern Spy. After tasting, I felt inclined to research further, or that was the best way to explain why so many bottles were coming home with me. Heritage (still and dry): made from a blend of traditional cider apples, it showed a complex nose of citrus and orchard fruit. The mid-palate is bright, on the lighter side, showing green and yellow apple tones and citrus. Nice bright finish, with palate-cleansing acidity and a hint of lemon. King Baldwin (off-dry and sparking): a blend of Tompkins King and Baldwin apples. This cider showed bright, riper fruit, leaning toward peach and pear, ripe on the palate, with a roundness from a bit of sweet orchard fruit. Finishes long and with a great tart note. 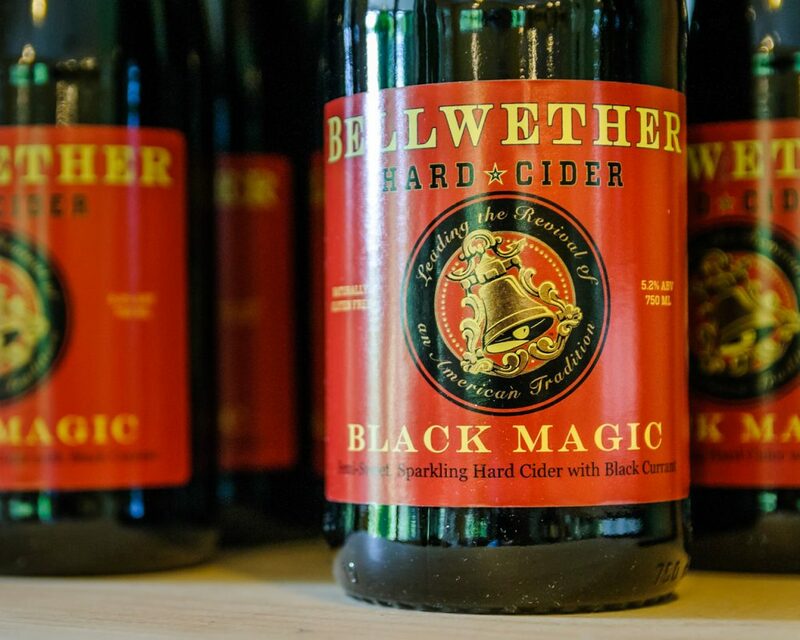 Black Magic (semi-sweet and sparkling): cider with black currants – which lend it a rich, black fruit quality and broader body. Dominant note here is currant, with the apple providing depth and acidity, keeping the sweetness in check, which would allow the cider to do well with a variety of dishes. I stopped by Northside Wine and Spirits while in Ithaca to meet Dave Pohl and talk about the region. He suggested I grab a bottle of South Hill Cider… so I took two. Now that both bottles are empty, I will be looking forward to meeting Steve Selin in person next time I am in the region. Cider doesn’t leave you much to hide behind, especially still cider – thus the passion and the care shows clearly when it is present. Both of the ciders were excellent, I will be looking for more. 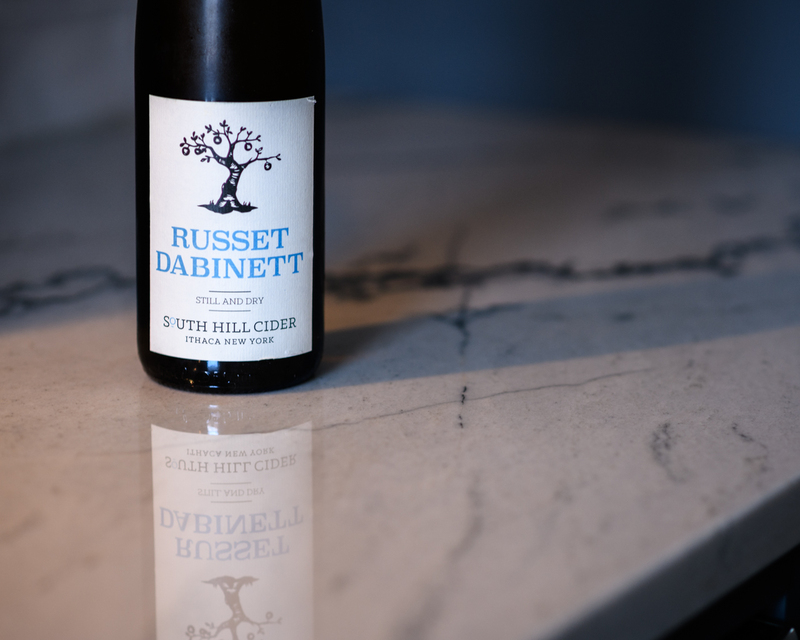 Russet Dabinett (still and dry): deeply colored (honey), with notes of baked apple and cinnamon. Mid-palate is broad, ripe but quite dry, tropical fruit coming to the front, with mango and dry apricot. Ripe yellow peaches show up toward the back of the palate, finishing clean, with a zing of citrus and a hint of tannin. Packbasket (still and dry): made from foraged apples from wild seedling trees, unusual is not the right word – unique? Surely one of a kind. Complex, bright, tangy, with herbal notes and a stony mineral component. Clearly still apple cider, with hints of baked apple and ripe yellow apple skins, but the herbal tones take it somewhere else entirely. A quite intriguing result! I must admit, I have yet to make a true pilgrimage to the cideries of New Hampshire and Vermont. That trip is on my short list – I promise! However, I was lucky enough to meet Louisa Spencer in New York City, at the Skurnik Portfolio tasting. That meant I was able to taste through their lineup of ciders as well as discuss the intriguing development of fine cider on the US market. I cannot wait to visit the orchards for myself. Extra Dry Still Cider – really bright, floral nose of apple skins, white flowers and mineral. The high acidity shows itself in this lithe, bristling cider, sour apples and ginger notes dominate, with a clean, tart and tannic finish. Absolutely refreshing. Semi-Dry Sparkling Cider – this is quite dry as well, with lemon and mineral notes dominating the nose. The mid-palate is broader, with hints of tropical fruit and touch of creamy texture over the bright, mineral-laden body. The carbonation adds to the creamy feel on the palate without the need to rely on sugar, thus balancing the cider. Kingston Black Reserve (extra dry and still) – incredible nose of smoke, yeasty notes and cantaloupe. Mid-palate reminds one of Sauvignon Blanc, with a lithe core of herbs and fruit and a broader, richer texture. This is a prizefighter, ready for a match. A wonderful expression of a classic cider apple.